This is one way not to get lost. From crowdsourced traffic data on Waze to Apple’s innovative “Flyover” feature for Apple Maps, our smartphones have introduced a number of clever map-related technologies that make it easier to get from point A to point B in the most efficient way possible. 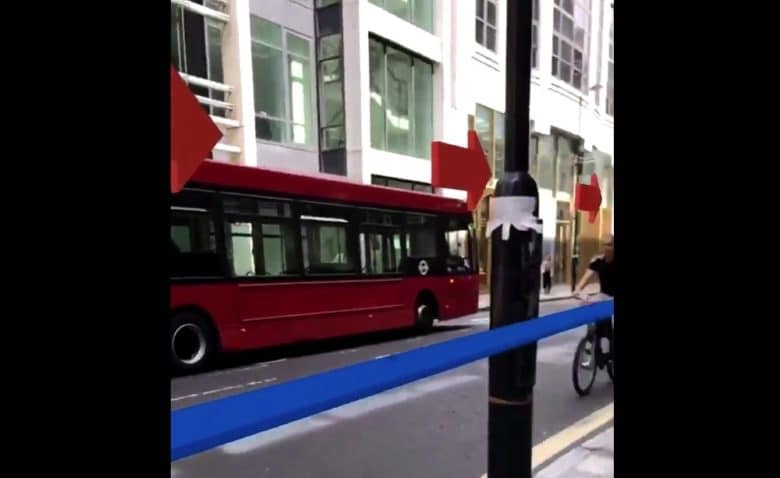 A new demo of Apple’s ARKit augmented reality reality by independent iOS developer Andrew Hart showcases how augmented reality could help take our navigation to the next level. Check it out below. The technology shows how the names of places, alongside helpful arrows and other markers could be superimposed onto our maps in real-time. Other useful applications of AR we’ve seen so far includes this nifty tape measure that actually works, and an impressive AR map, which could be used by Airbnb to show guests around accommodation. Apple reportedly has hundreds of engineers working on a standalone AR headset. While there’s no release date just yet, if you really can’t wait for an AR headset, Los Angeles-based startup Mira plans to launch its $99 Mira Prism headset later this year. Then again, based on how good some of the demos we’re seeing have been, even utilizing AR on your iPhone is likely to look pretty darn good! What’s the best AR demo you’ve seen so far? Leave your comments below.